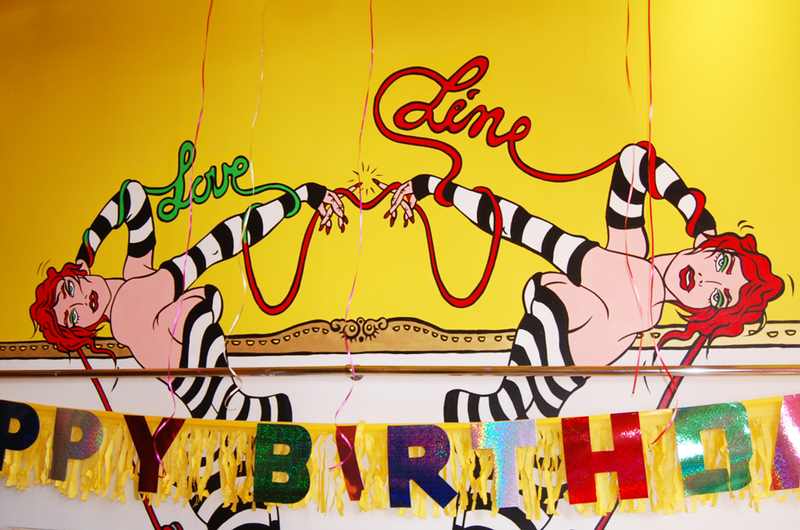 Celebrating Betsey Johnson’s 69th Birthday! Last Wednesday was Betsey’s 69th birthday, can you believe it? I can’t either. This woman is still kicking and full of so much energy, she can outrun teenagers. The party took place at her showroom, it was an intimate setting of family, friends, and her corporate staff. Of course Betsey was the life of the party, her positive energy and great personality turn any dark room into a ray of sunshine. 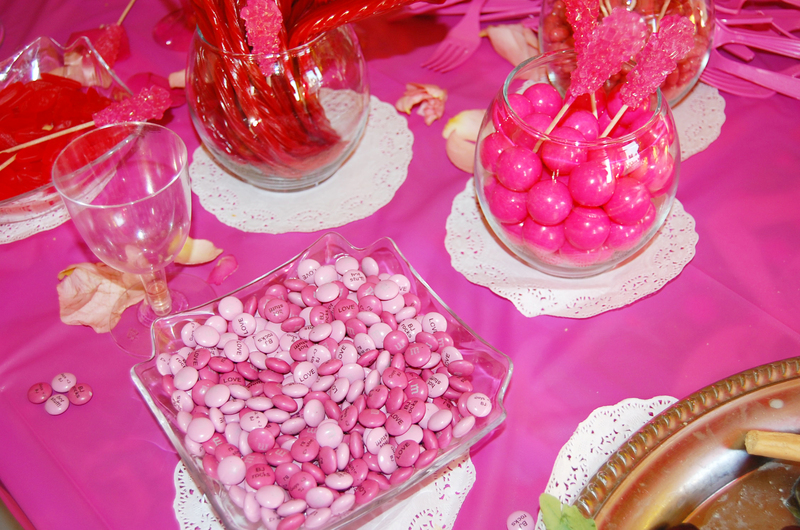 The showroom was decorated in balloons, candy, and pink roses. 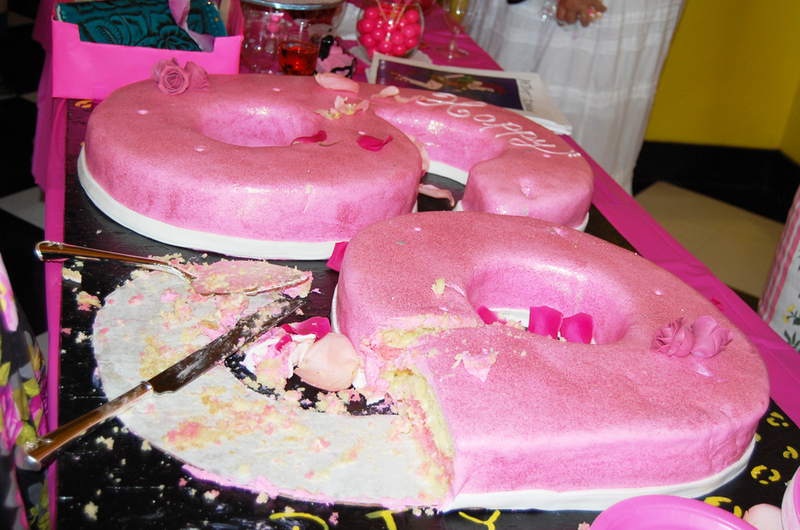 Betsey’s cake was ginormous but terribly tasty, I was in heaven with all of the sweets on each table. I must have had at least 3-4 pink rock candy lollipops, they were so addicting my teeth were pink the entire day. 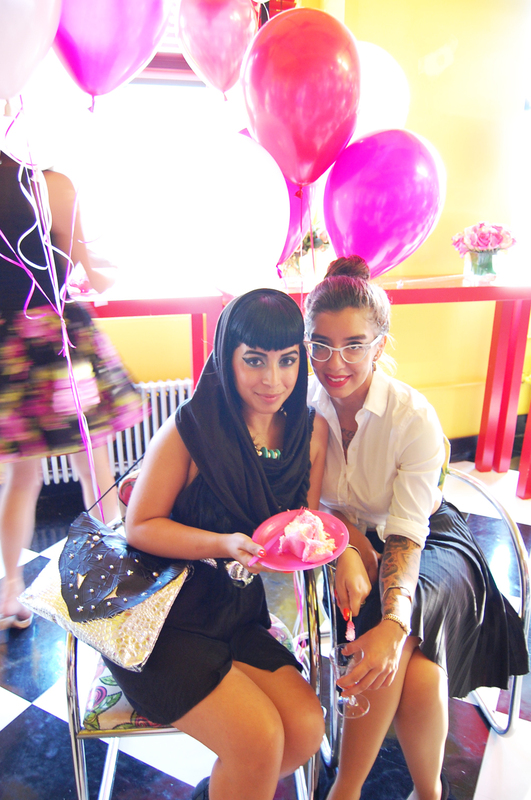 I brought my friend Crystal with me to the party, it was the perfect setting for two sweet toothed pinups. I also spent some time with Betsey and many of my favorite Betsey girls. It was nice to catch up with them as I havent seen any of them since the sample sale. Betsey was so happy at her party, I love that she is so humble and appreciative of her friends, family, and her staff. She deserves all of the happiness in the world for having such gratitude and I wish her many more wonderful birthdays to come! See photos inside! Betsey’s cake was DELISH. 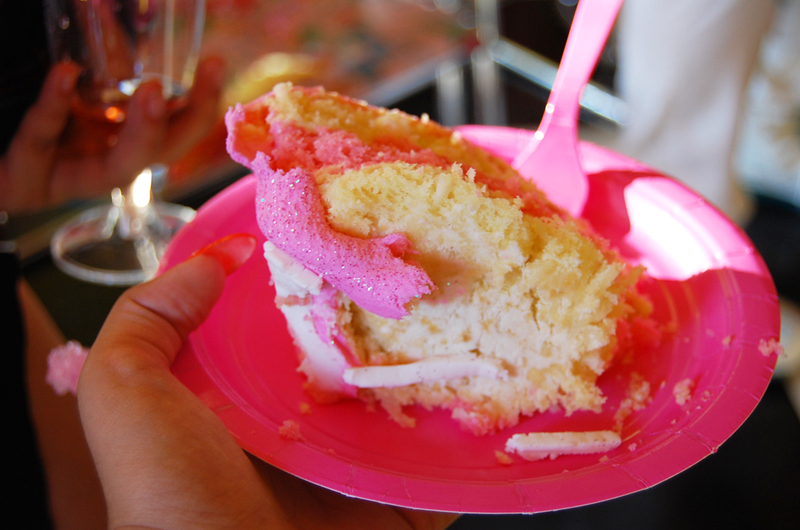 It was adorned with pink glittered frosting and the inside tasted of coconut. 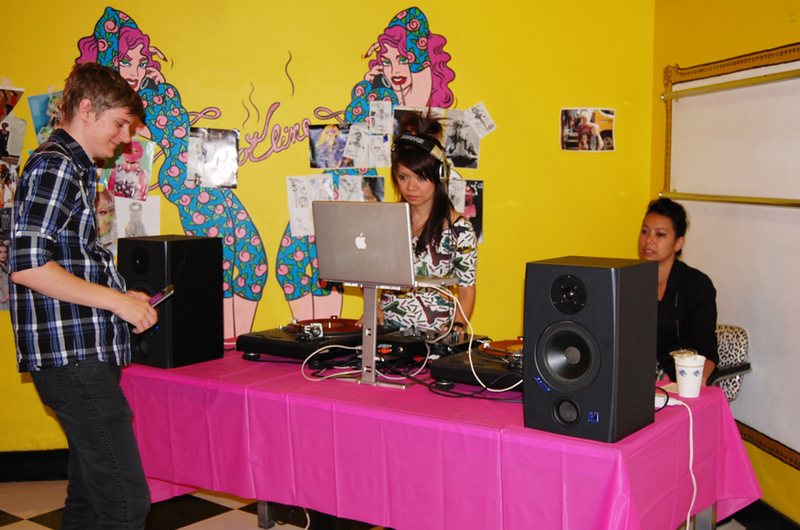 She had a DJ spinning tunes! Balloons and her family, friends, and staff. Even the mannequins celebrated! My girl Crystal reminds me of a young Audrey Hepburn. I love her! Pink Champagne! Candy! 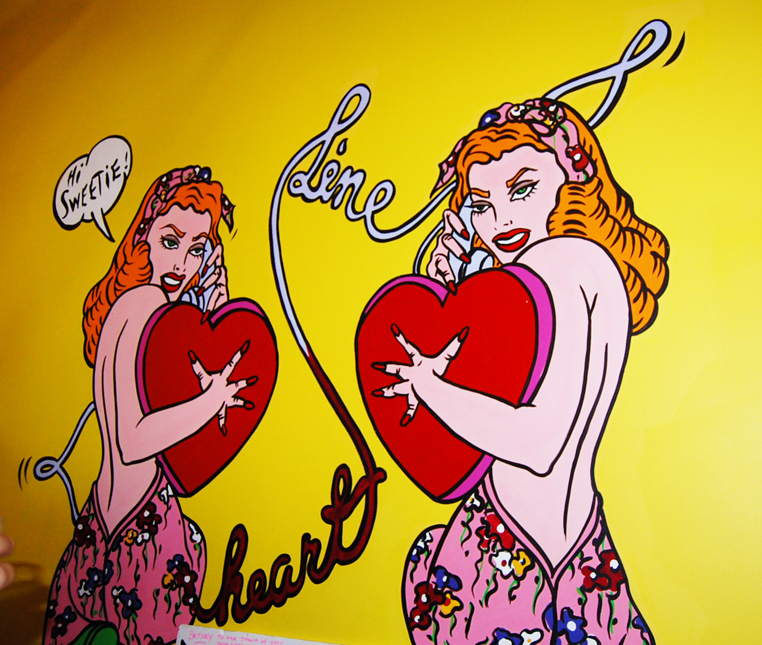 Love Betsey’s artwork on the walls! Bella! 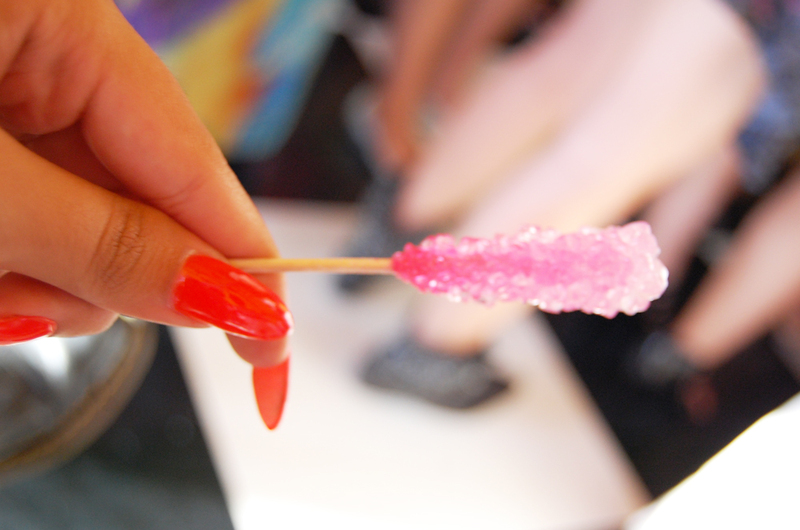 Champagne and rock candy! So pretty! 50s pinups would be proud ❤ Cake time! Beautiful table setting! 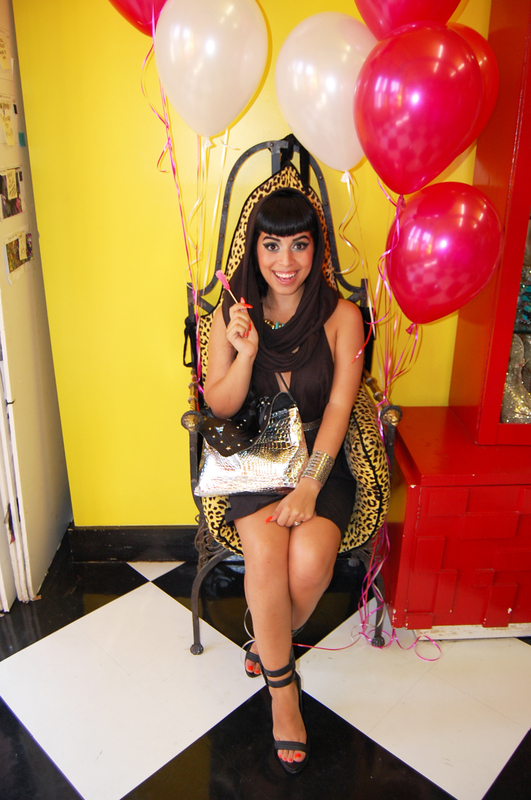 Crystal looking like a doll in this cool leopard chair ❤ Can I take this chair home? 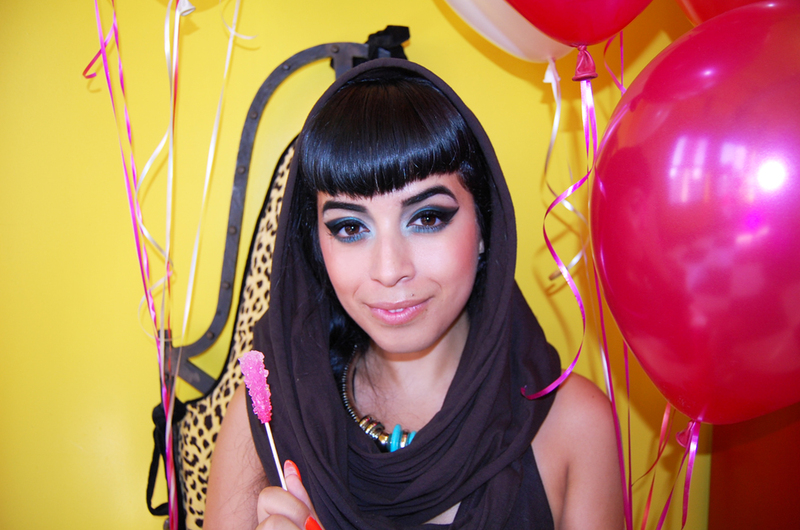 I don’t think I have one pic from this party that I am NOT holding a lollipop. SHEWZ! 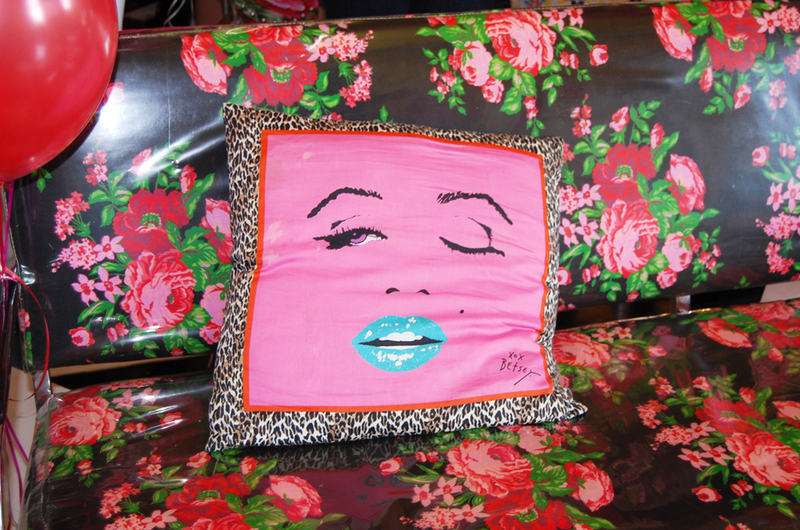 Marilyn pillows! My girl and I relaxing. This cake died instantly. My stomach says thank you. Betsey’s blast from the past photo of her fitting her model. 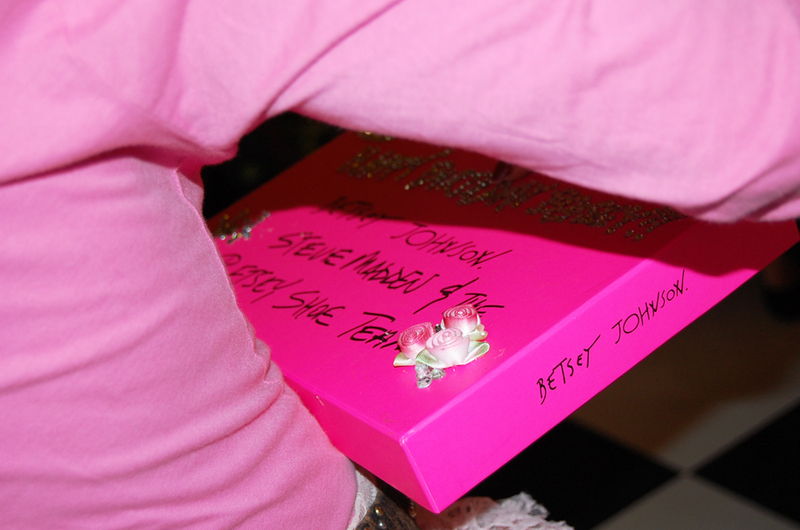 ← Betsey Johnson knows what time it is! Glad you ladies had lots of fun. Happy Birthday! 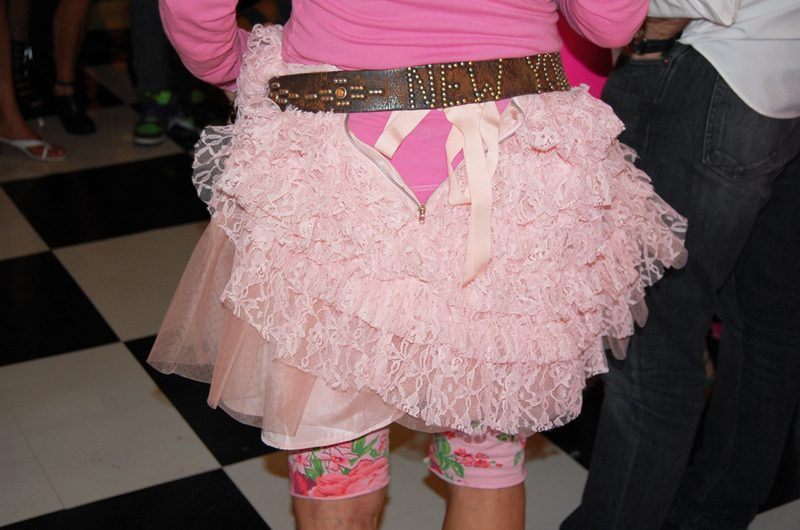 Betsey…..keep doing your thing because we love you and you look fabulous. wonderful smokey makeup! youa re one of the priviledged ones!! WOW! It looked like a blast! LOVE that pink!